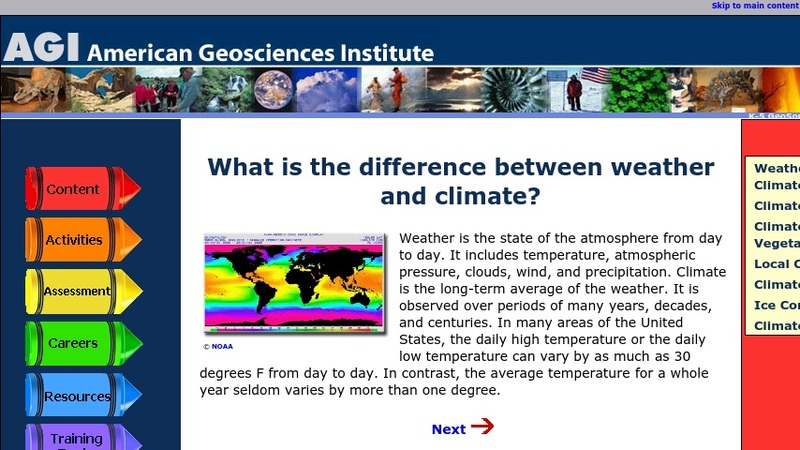 This site is the first in a series of websites by Geosource which provide general information about climate and past climates for K-5 teachers and students. The series provides a basic introduction to topics such as the difference between weather and climate, factors that effect climate, and what is a climate proxy (e.g. ice cores). The sites also feature colored illustrations and figures.